I love how a design can take on a totally different look just by changing out the paper and embellishments. Who would have thought this was a patriotic cutting file? Okay, that's my PPPR project - be sure to stop by the PPPR Blog to see what the other Designers have to share with you today! Have a great day and I'll be seeing you soon! I love your project! 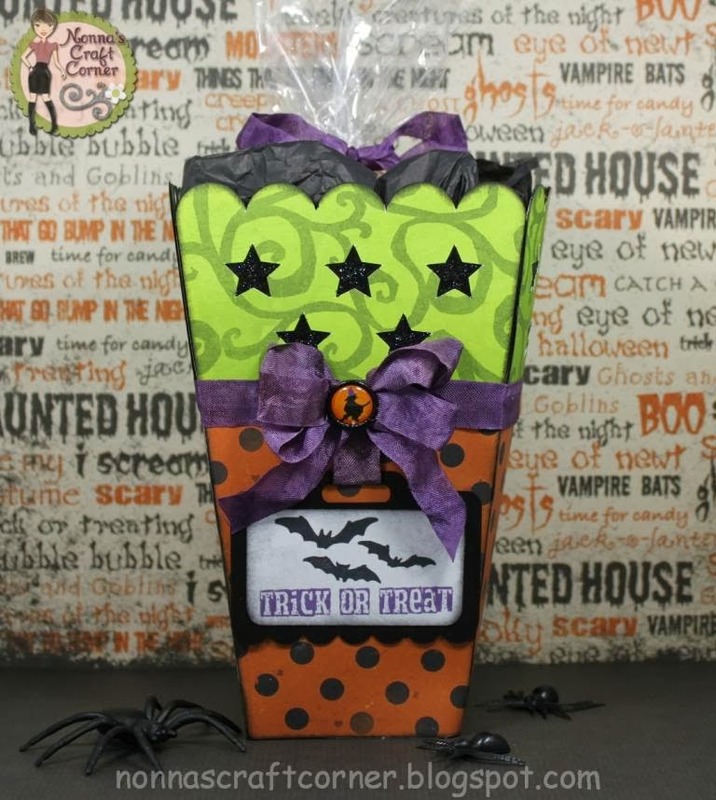 What a great idea to hold Halloween candy! Fabulous. Great papers and design. 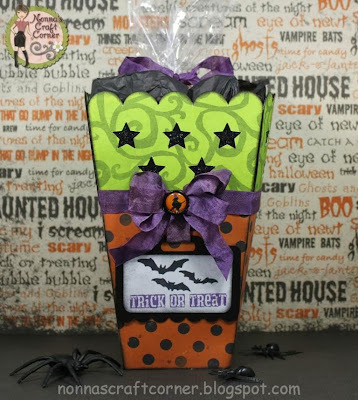 Lovin' this Halloween treat box! I think I might have to scraplift this project! I love it! Tanya ~ Look at this masterpiece! Well first the papers and ribbons are simply GORGEOUS! Then the stamps and fun shape is FAB! Well I need this box too! You might want to start a stack and leave the window unlocked for my quick exit! LOL! I LOVE this beautiful treat!!! Awesome colors!! Wow, this is super cute Tanya! It doesn't surprise me that you took a patriotic cut file and turned it into something different! This is awesome! 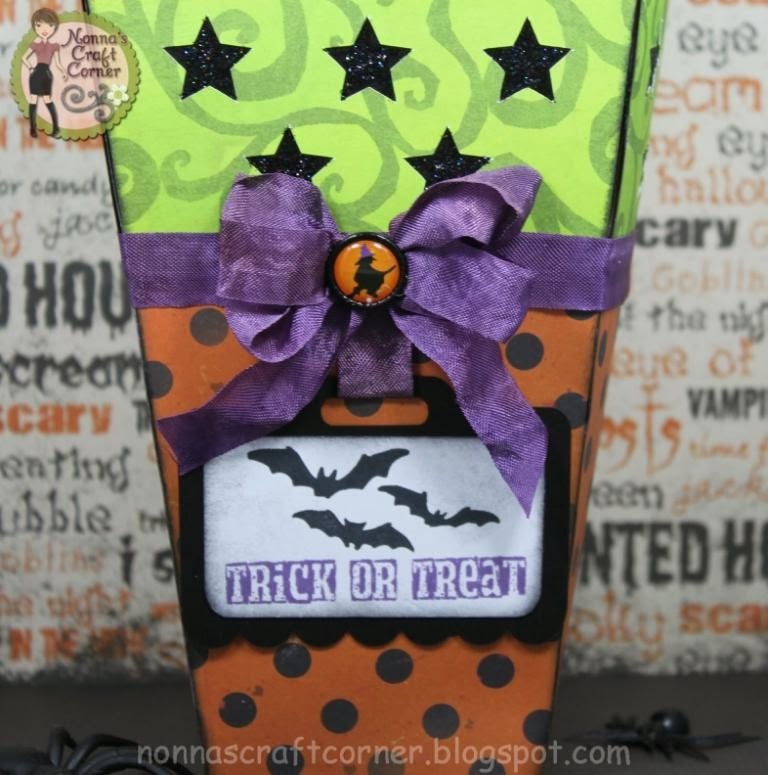 I love the mix of papers and beautiful purple bow~You are so stinken talented and creative! I love it! 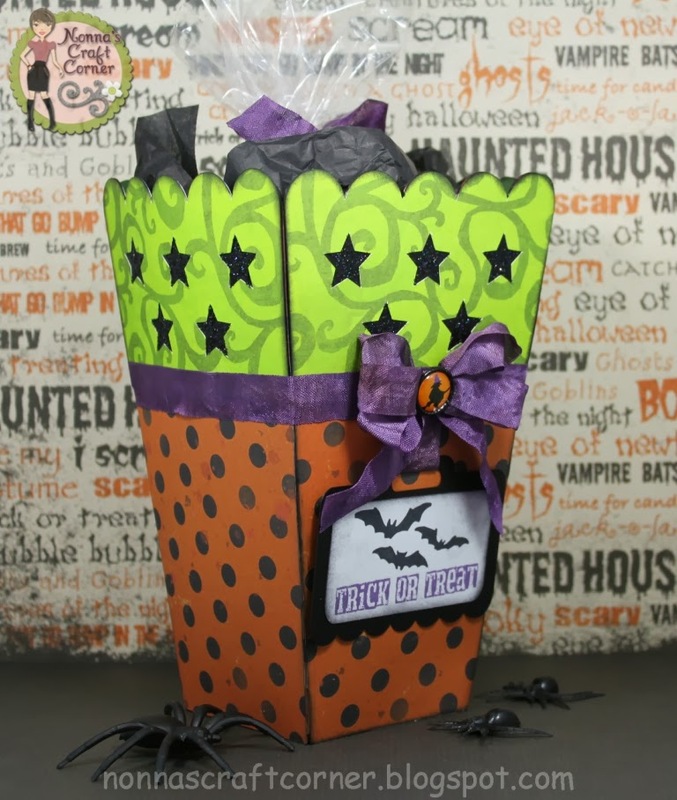 Adorable treat box my friend, love the papers you used!! Beautiful. Love the way you did that bow it's so pretty my friend. Great job thinking outside the box, love it! 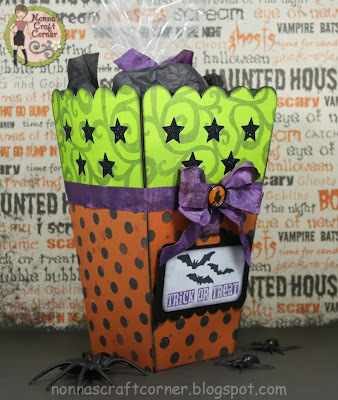 So creative, I love the papers you chose and the bow is awesome! You got all the little details just right too! Great job, Tanya!